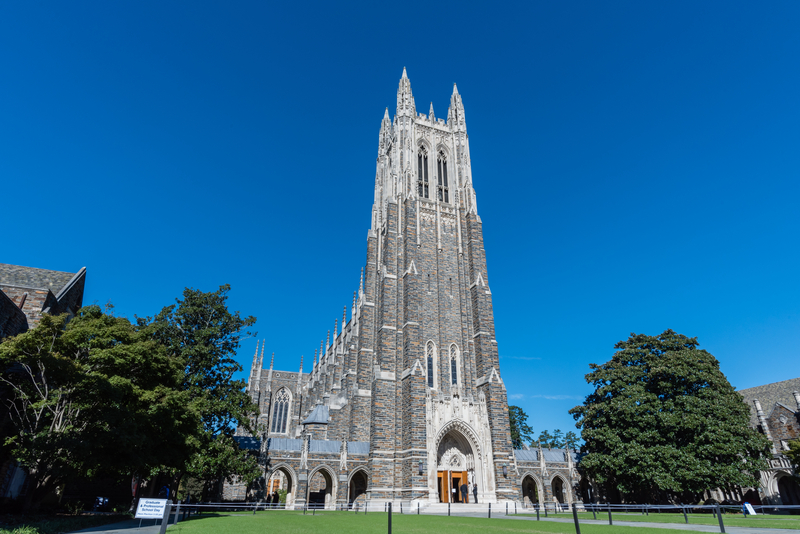 A Duke University professor was asked to step down from an administrative role following an email she sent to students Friday advising them not to speak Chinese in order to improve their English and chances of getting jobs. Megan Neely, an assistant professor for Biostatistics & Bioinformatics, sent the email after receiving complaints from two unnamed professors of students speaking Chinese loudly in public spaces. The email was sent to first and second year students in the masters program, Inside Higher Ed reported Monday. Neely added she had the “utmost respect” for the students choosing to study in the U.S. and asked they “commit to using English 100 percent of the time” while at the school or in a professional setting. Duke is not the only school concerned about English-speaking capabilities for Chinese students, however. The University of California at Santa Barbara found many of its Chinese students could not speak English at the college-level even though international students must score at an “intermediate level” on an English language proficiency test to study in the U.S., the Los Angeles Times reported. “As a Chinese person in the American workplace, I know I am limited in my career advancement,” Oliver Mao, who studied at Tufts University, said, according to the Morning Post. Neely did not immediately respond to The Daily Caller News Foundation’s request for comment.